Background: Tumor necrosis factor-alpha (TNFα), a pro-inflammatory cytokine, has been shown to play a role in the pathophysiology of rheumatoid arthritis. Silencing TNFα expression with small interfering RNA (siRNA) is a promising approach to treatment of the condition. Methods: Towards this end, our team has developed a modified chitosan (CH) nanocarrier, deploying folic acid, diethylethylamine (DEAE) and polyethylene glycol (PEG) (folate-PEG-CH-DEAE15). The gene carrier protects siRNA against nuclease destruction, its ligands facilitate siRNA uptake via cell surface receptors, and it provides improved solubility at neutral pH with transport of its load into target cells. In the present study, nanoparticles were prepared with siRNA-TNFα, DEAE, and folic acid-CH derivative. Nanoparticle size and zeta potential were verified by dynamic light scattering. Their TNFα-knockdown effects were tested in a murine collagen antibody-induced arthritis model. TNFα expression was examined along with measurements of various cartilage and bone turnover markers by performing histology and microcomputed tomography analysis. Results: We demonstrated that folate-PEG-CH-DEAE15/siRNA nanoparticles did not alter cell viability, and significantly decreased inflammation, as demonstrated by improved clinical scores and lower TNFα protein concentrations in target tissues. 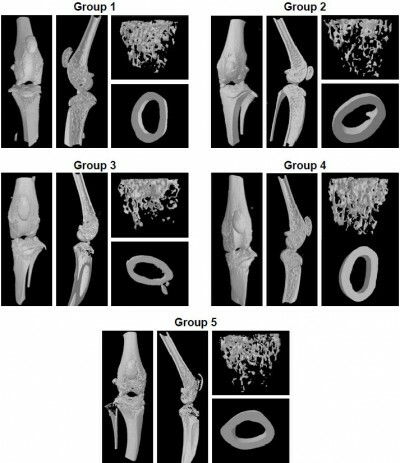 This siRNA nanocarrier also decreased articular cartilage destruction and bone loss. Conclusion: The results indicate that folate-PEG-CH-DEAE15 nanoparticles are a safe and effective platform for nonviral gene delivery of siRNA, and their potential clinical applications warrant further investigation.